Without professional landscape design, you’re just planting trees. Our landscape architecture and landscape design team has the talent experience and expertise to create the scenery that will set your organization apart from other boring buildings or give your home the best curb appeal on the block. 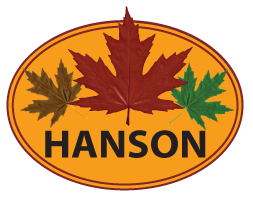 When you’re ready to make your neighbors jealous or enhance company’s outdoor profile; remember Hanson is your professional landscaping company in the Chicagoland areas. Click here to submit a quote request. What good is skillful design if you cannot create the vision? Hanson Landscape is the professional landscaping company you need to bring your terrain to life. Our innovative, specialized teams are trained in specific service areas to construct every detail of every design; we know that when you pay to have a waterfall built, you don’t want a lawn maintenance crew doing the work. Our complete service and support dedication mean we don’t leave unless the customer is happy. With a 100% satisfaction rating and 25 years of referrals and testimonials; you can trust that when we build it, we stand by it. Click here to learn more! Caring for your landscape takes more than just cutting the grass and trimming the hedges. Hanson Landscape understands the diverse seasonal needs of Chicagoland plant life. We offer a full range of maintenance, management and enhancement service that will keep your ever changing landscape looking beautiful while maintaining its value. Why let your landscaping investment wither when we have the service, knowledge, staff and tools to keep it flourishing. Click here to see how we can help and to learn more about our maintenance plans.